PPS Impact Magazine » What’s Not to “Like”? Facebook, the most popular business social media platform, boasts over 1.79 billion active monthly users and over 16 million business pages.1 With approximately 30 percent of its users aged between 25 and 34,1 it remains a critical platform for marketing outreach to the millennial generation. 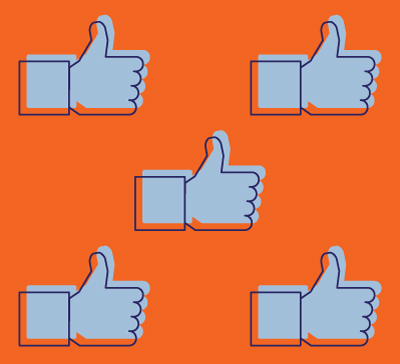 And the best parts about Facebook for a business owner? It is free and easy to use. Many private practice owners have taken the first steps in utilizing Facebook for their business by creating a business page, though often falling short of recognizing the potential for marketing by neglecting to post regularly. While seemingly daunting, posting content on Facebook on a regular basis can be simple and straightforward following these simple steps. 1. Find content that is meaningful to your reader. For physical therapists, there are endless options. Share an article on a controversial topic and offer an opinion. Post a new piece of equipment and comment on its importance to fitness. Suggest a website that has tips for stretching. Display clinic pictures of your staff. 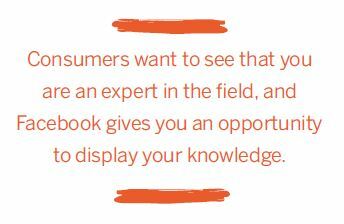 Consumers want to see that you are an expert in the field, and Facebook gives you an opportunity to display your knowledge. 2. Make the content fun. Posting comics and motivational quotes is an easy way to create content that readers enjoy. On our own business Facebook page, comics generate 20 percent of the Likes. Having fun content also gives your company an opportunity to display its values and personality through social media. 3. Include pictures. Many readers gloss over content that does not have a photo associated with it. In today’s society of fast-paced information digestion, readers look for content that is quick to read and to the point. In fact, the average attention span of a Facebook reader is 8 seconds.2 Utilization of photos, graphics, or graphs attracts attention to the content and encourages the reader to pursue more information. Remember not to include photos of patients in Facebook posts without a signed media release form to protect you from a violation of the Health Insurance Portability and Accountability Act (HIPAA). 4. Post regularly. According to Forbes, depending on the size of your following, posting twice per day may yield the highest percentage of engagement.3 This frequency allows more opportunities for your content to be noticed in the newsfeed of your followers. Many private practice owners stress about finding time to create posts. Using the Publishing Tools feature can allow you to schedule your posts for future dates. At our practice, we schedule an entire month of posts at one time at a frequency of 2 posts/day. This tool allows you to “set it and forget it,” thereby freeing up critical time for other administrative tasks. In addition, delegating the task of creating Facebook posts is a great opportunity to engage younger staff members to participate in marketing outreach—not to mention that they will likely dash off posts in a fraction of the time it would take a nonaccustomed Facebook user! 5. Be positive. 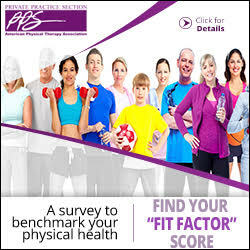 Facebook is a great tool for the private practice physical therapist to promote the profession of physical therapy. While payment cuts, increased regulations, and network consolidation continue to affect the daily status of the private practice industry, rather than using social media as an outlet for complaining, find a way to create meaningful dialogue and a positive solution. This proactive approach will further endorse the profession and demonstrate the ingenuity of the private practice owner. As private practice owners we must engage with our audience using all marketing platforms, especially social media. Given its low cost and simple functionality, Facebook offers a simple marketing solution for practices of all sizes and ages. If you have not initiated your Facebook experience, consider visiting www.Facebook.com/help for some easy steps to get started. I am sure you will find there is a lot to Like about it. 1. https://zephoria.com/top-15-valuable-facebook-statistics. Accessed March 2017. 2. Weinreich H, Obendorf H, Herder E, Mayer M. “Not quite the average: an empirical study of web use,” in the ACM Transactions on the Web, vol. 2, no. 1 (February 2008), article #5. Accessed March 2017. 3. www.forbes.com/sites/neilpatel/2016/09/12/how-frequently-you-should-post-on-social-media-according-to-the-pros/#4e7a796336d5. Accessed March 2017. Katherine Dixon, PT, DPT, is co-owner of Action Potential in Glen Mills, Pennsylvania. She can be reached at kdixon@reachyours.com.